It's a good book. Even if you don't adopt everything it says, there's a few good tips in there that make parenting 3 year old twins easier. The 2 main lessons I walked away with after reading? Be consistent - give kids the same message about your expectations all the time, every time. So what happened next? Public timeout! I used to be one of those people who felt really embarrassed when my kids acted up in public.When they were acting up, all I could see was my parenting skills being judged and found wanting by the observing public. I made their behaviour all about me instead of focusing on them. Being the smart young 'uns that they are, the kids quickly sensed it and take advantage of this weakness (especially in the grocery store). I realized that by being reluctant to correct in public, I was doing my kids a disservice and sending them the message that private and public standards of behaviour are different. They're not and thanks to a few lessons from 123 Magic, we established that! It was a cold winter morning is how this story starts! Twin 1 wanted to press the elevator button but it's Twin 2's turn. So Twin 1 is more than a little miffed. To express her displeasure, she twacks my knees a couple of times. Smacks my lunch bag. Kicks the air. 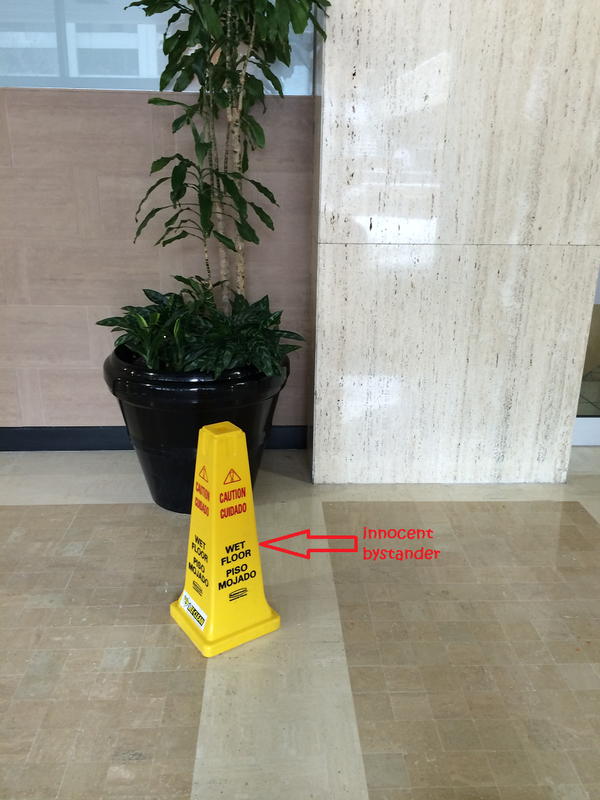 Kicks the innocent yellow "wet floor" thingie (all the while ignoring my nos) and I did something that 5 months ago I wouldn't have the guts to do. I disciplined her in public. She took a quick timeout by the nearest wall, apologized and we continued on our way. This graphic is helpful and I agree with some of the observations on whether twins should be kept together or separate in school. I know my girls didn't do well when I tried to put them in separate classes at age 2+. If you have twins, where do you stand on the separate vs together discussion? How Many Activities Does a 3 Year Old Need? That's a short list of the activities currently available for my twins this summer. They're 3 so they don't qualify for karate, singing, piano, etc. Come winter, we'll add skating to the list. Why do the kids have to take part in any activity? Because living in a city where the winter is truthfully 7 months long, we need a physical activity to tire the girls out on weekends. But can't we have fun and get some exercise as well if we just go out to the park or an indoor rec center? But where are the adults - who took a myriad of classes as kids - today? Are they maestros or "Jacks"? But seriously, how many activities does a 3 year old need to sign up for? 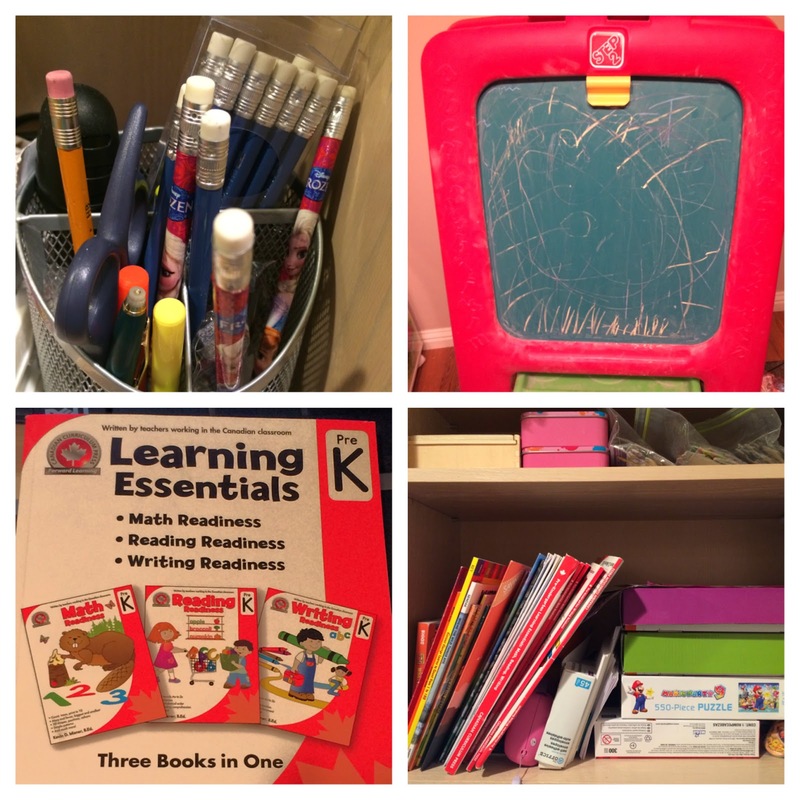 What organized activities did you consider critical for your 3 year olds? Which ones gave the best value? 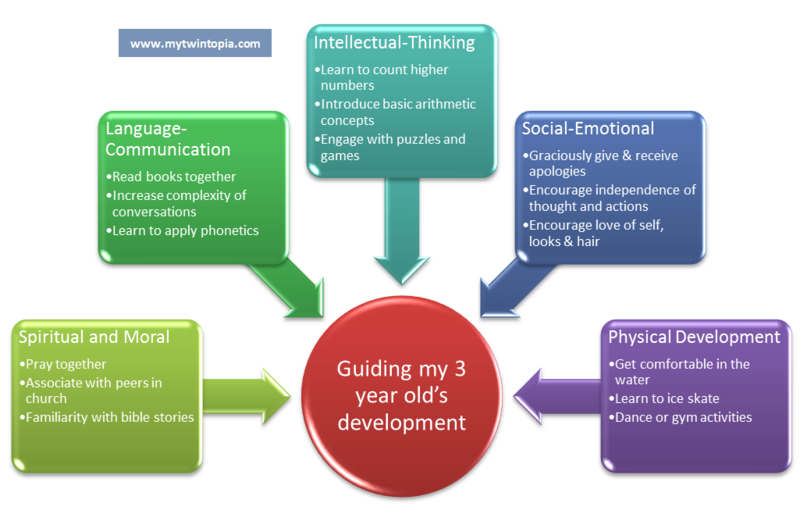 Just before the girls turned 3, I wrote a post about the tools and methods I was using to teach them their 3Rs - Reading, wRiting and aRithmetic. This is more or less an update post for the 3-1/2 year olds. PS: The comments by Johanna and Samantha on that post were really helpful to me and worth a read. C'est bon. There you have it. If you've passed this road before, any other learning aid you'd like to add to this list? No you're not on the wrong blog and no I have not grown a home-schooling gene overnight. However, in my one year experiment of researching elementary schools in Calgary, one big factoid jumped out at me. I've heard President Obama say that over and over again in so many speeches but it wasn't until I took a closer look at the educational system that I "got" it. We the parents will always be the first and best teachers our kids have. Before last year, I erroneously assumed that the more you spent on your kids education, the better the quality. This of course fueled my thinking that private schools are better than public schools. However, at least in Calgary, there are public schools that stand shoulder-to-shoulder with the best private schools. The public schools may not have the funds and resources of the private schools, but the combination of good teachers and involved parents will triumph every time. So with that lesson learnt, it's time for action. One of my goals this year is to establish a "homework" routine for our family that will hopefully carry us through the school years. The plan is simply to include "home work" time in our new schedule. This is now what our evening schedules look like. Times are quite flexible and the homework time so far has been anything from 15 - 45 minutes. The number of minutes is not as important. 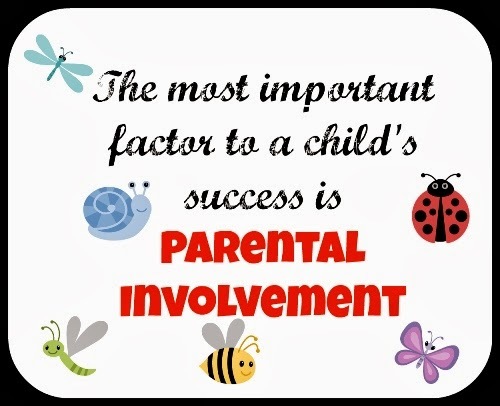 What's important is that EVERYDAY, each child participates in a parent-led educational activity. The goal is that this becomes a routine so that when the girls start formal elementary school in a couple of years, it'll be an established habit and maybe forestall any homework wars. So far? The girls love it and so do I. I've learnt so much in the last few months of doing this. Tomorrow, I'll share the tools we use and changes we've made to the playroom to accommodate the school-at-home. It helps in how I make everyday decisions that involve the girls. Activities to participate in, TV shows to watch, which books to read and how many and how often? It means when life is running on auto-pilot, I have a reference point to go back to. It doesn't. The items on the list may change but the need for a list remains. In my last post, I shared that my twins were rapidly outgrowing their Britax Marathon convertible seats and would need to move into booster car seats before the fall. And with that knowledge comes the question "which booster car seat is the best for us?" There are 2 main types of booster car seats - harnessed and non-harnessed. The harnessed ones have shoulder harnesses for a 5-point fit while the non-harnessed do not. Under the non-harnessed category, you also have the highbacks and the backless. I prefer the harnessed because my girls are on the small side even though they are tall. Harnessed seats are recommended for kids under 40lbs. Check the current list of Best Bets as tested by the IIHS (Insurance Institute for Highway Safety). This is important because there are some popular brands that have been on the best bet list for a longtime but fell off the list in 2013. 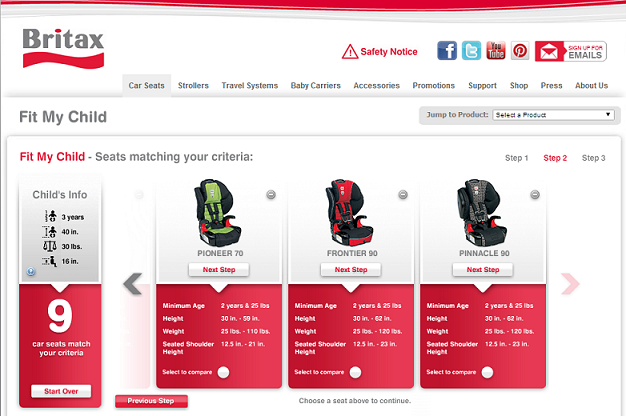 The Britax models I would have normally gone for, were rated "Check Fit"
Check the ease of use ratings from the NHTSA. Because if you've ever sprained a thumb and twisted your back after spending an hour trying to wrangle a car seat into the latch position, you know how important ease of installation is. Note: Most of the seats are available in more than one Canadian retailer. I just chose the first one that popped up in my search. Combination car seats can be used in 2 different install positions - forward-facing and booster. They are also referred to as harnessed boosters as they will come with a 5 point harness and are good from 25lbs up. Air plane use: Most combination booster seats are approved for airplane use in the harnessed configuration. Why is it important? When your kid who is within the height and weight specs of the carseat starts complaining about being uncomfortable or having back aches after sitting, it's time to whip out the tape measure. Two kids can be the same height but have different torso lengths which will affect how comfortably they fit into their car seats. I know that when I bought the girls' Britax Marathons almost 2 years ago, Seated Shoulder Height was not an official thing. Now it is and details can be found on the Britax website here. I measured the girls and Spice has a Seated Shoulder Height of 14.5 inches while Sugar is around 16 inches. What next? I plugged the girls' numbers in the Britax "Fit My Child" tool and theoretically they're still good for their Marathons. However the maximum Seated Shoulder Height for the Marathon is 16.75 inches so I think new booster car seats are on the table before this fall. If you have kids currently in convertible car seats, it's worth it to do some research on the recommended seated shoulder height for that seat and see if you're due for a change or not.